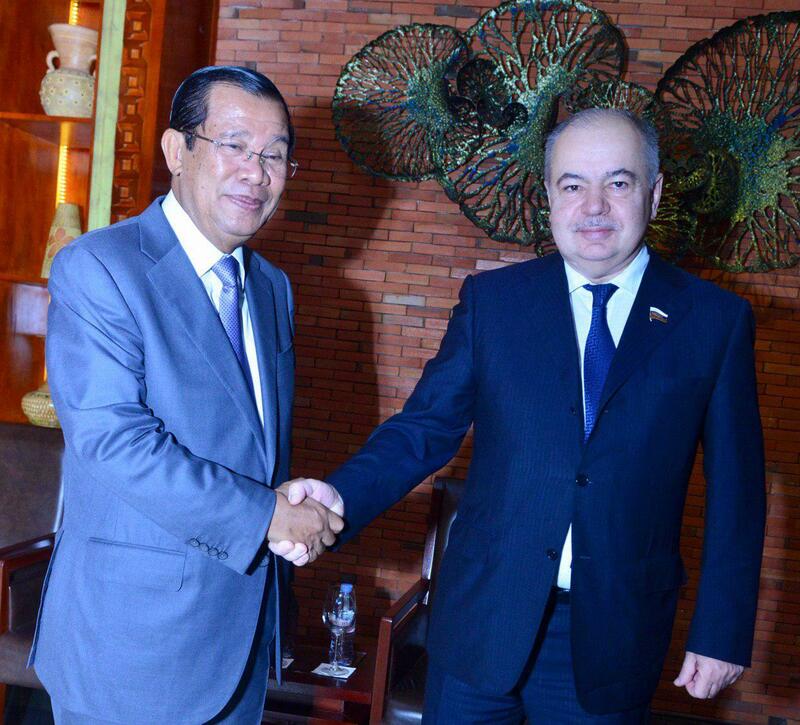 Siem Reap (FN), Jan. 16 - Cambodian Prime Minister Hun Sen, on Wednesday, said that Cambodia-Russia has long embraced the close relations, as Russia assisted Cambodia during the bloody Pol Pot regime. The statement was made during the meeting with Russian delegation led by Deputy Speaker of the Federation Council Ilyas Umakhanov. 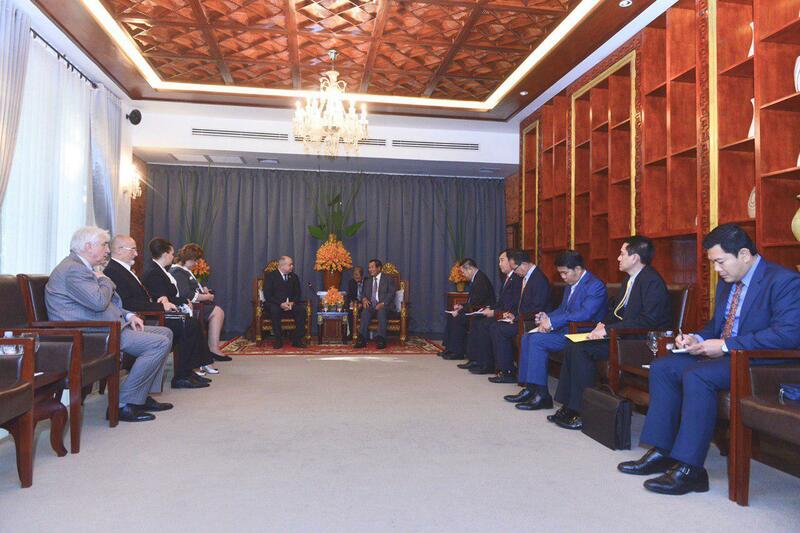 According to Eang Sophalleth, personal secretary to the Premier, Ilyas Umakhanov expressed congratulations to Cambodia for succesfully hosted Asian Cultural Council (ACC) and the 27th Asia-Pacific Parliamentary Forum (APFF). 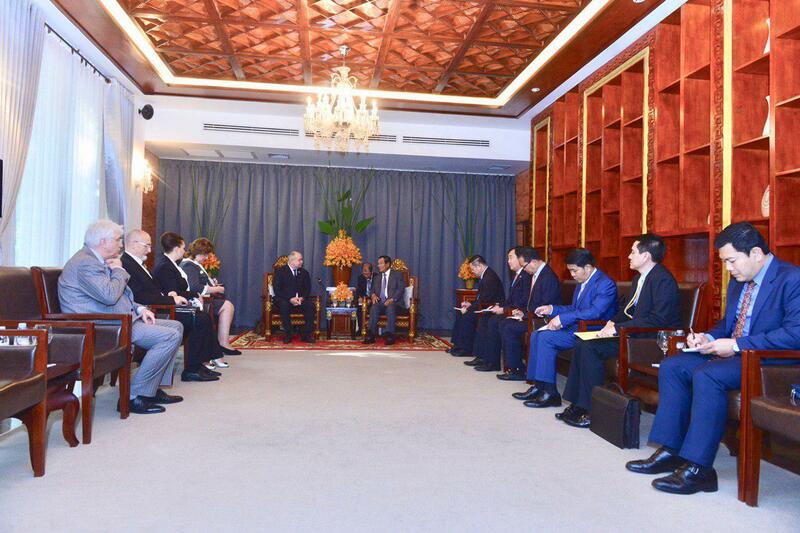 Ilyas Umakhanov pledged to promote stronger relation between the two nations. 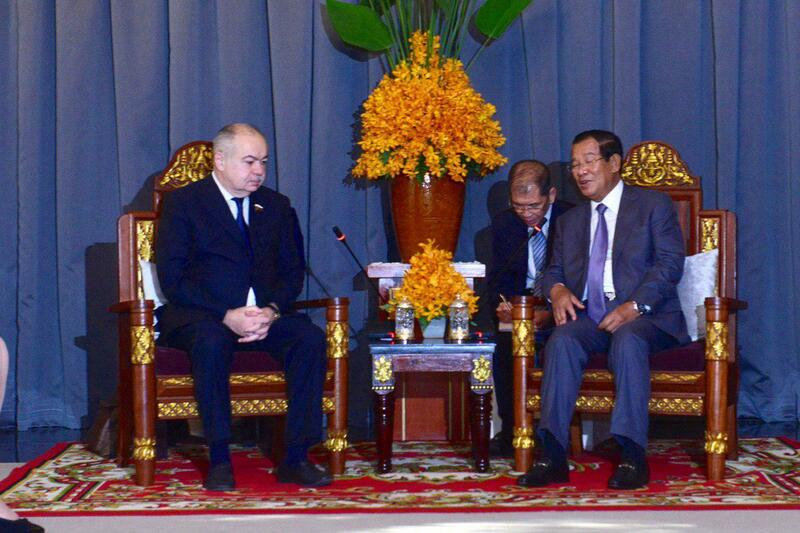 In response, Prime Minister Hun Sen thanked Ilyas Umakhanov and his delegates for attending ACC and APPF. It is worth noting that Russia has left many historical achievemnts in Cambodia, such as Russian Hospital, Institute of Technology of Cambodia, and also assists Cambodia in building human resources.